If you didn’t make it to LCDQ’s Legends event this year, you missed out! For over half a century the La Cienega Design Quarter has been Los Angeles’s decorator row and destination for stylish shoppers. This famous district is known as the heart and workplace of the Los Angeles Interior Designers. 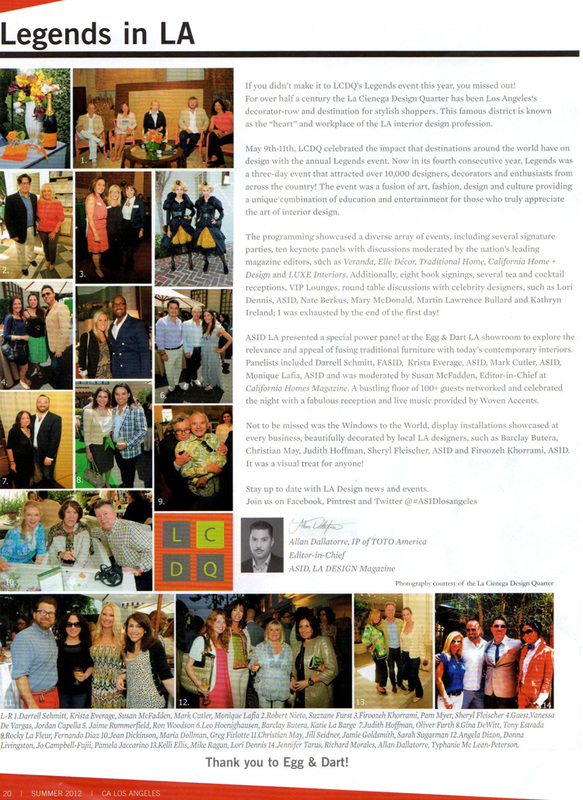 May 9th -11th, LCDQ celebrated the impact that destinations around the world have on design with the annual Legends event. Now in its fourth consecutive year, Legends was a three day event that attracted over 10,000 designers, decorators and enthusiasts from across the country! The event was a fusion of art, fashion, design and culture providing a unique combination of education and entertainment for those who truly appreciate the art of interior design. The programming showcased a diverse array of events including several signature parties, ten key note panels with discussions moderated by the nation’s leading magazine editors, such as Veranda, Elle Décor, Traditional Home, California Home + Design and LUXE Interior + Design. Additionally eight book signings, several tea and cocktail receptions, VIP Lounges, round table discussions with celebrity interior designers such as Lori Dennis, ASID, LEED, Nate Berkus, Mary McDonald, Martin Lawrence Bullard and Kathryn Ireland. I was exhausted by the first day. ASID LA presented a special power panel at the Egg & Dart LA Showroom to explore the relevance and appeal of fusing traditional furniture with today’s contemporary interiors. Panelists included Darrell Schmidt, FASID, Krista Everage, ASID, Mark Cutler, ASID, Monique Laifa, ASID, and was moderated by Susan McFadden, Editor in Chief at California Homes Magazine. A bustling floor of 100+ guest networked and celebrated the night with a fabulous reception and live music provided by Woven Accents. Not to be missed was the Windows to the World, display installation showcased at every business, beautifully decorated by local LA interior designers, such as Barclay Butera, Christian May, Judith Hoffman, Sheryl Fleischer, ASID and Firoozeh Khorrami, ASID. 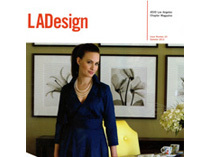 Stay up to Date with LA Design news and ASID events.